A really nice tool to customize disk images for ARM-based single board computers, like the Raspberry Pi, is QEMU. QEMU advertises itself as a generic and open source machine emulator and virtualizer [1, 2]. In other words, QEMU can run operating systems and programs made for different architectures, like ARM, on a developer's x86-64 development machine. This is why QEMU is an ideal tool in combination with chroot [2,3] to customize Arch Linux ARM images for ARM-based devices, such as the RPi. So once we have an ARM image, we can simply chroot into the root filesystem and install extra software packages, like vim, zsh or avahi. In brief, chroot is an operation that allows a user on a Unix-like operating system to change the root directory of the current running process and its children . Basically, this allows one to run commands within a different root filesystem environment also known as a chroot jail. On most GNU/Linux distributions these handy tools can be easily installed via the package management. 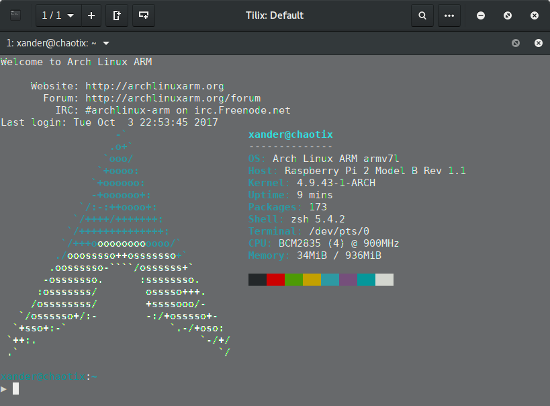 The rest of this blog post provides instructions how we can customize an existing Arch Linux ARM image on an Arch-based system. As described in my last blog post, these images can be created with basic Linux/CLI knowledge. The package binftm-support contains a helper script to easily register and unregister binary formats with the kernel using the binfrm_misc module. In brief, this module provides the Linux kernel on host system to recognize arbitrary executable file formats and to pass them to certain user space applications . In this step, it's assumed that we have already created an Arch Linux image. These images can be created with basic Linux/CLI knowledge as described in this blog post. In my case this is the loop device loop0. Now, we need to reload the partition table of the device loop0 so the partitions are known to the host OS. As one can see, both partitions of the image are known to our host OS. However, before we can chroot into the root filesystem, it is necessary to copy the qemu-arm-static binary to /mnt/arm-chroot/usr/bin. Thanks to this binary, it is possible to execute non-native target executables just as native exeutables once we are in the chroot jail. Changing the hostname is just a matter of editing the files /etc/hostname and /etc/hosts. As you can see, my new user is called xander and uses the awesome zsh shell :-). To complete the sudo configuration, we must not forget to uncomment the first line starting with #%wheel in /etc/sudoers. In other words, remove the Hashbang # before %wheel. Also note that you should use visudo to edit the sudoers file. In order to make the single board computer discoverable on the home network, we can install avahi and mdns. Overall, the installation procedure is the same as described on the Arch Linux Wiki . Talk is cheap, show me something! It's testing time. 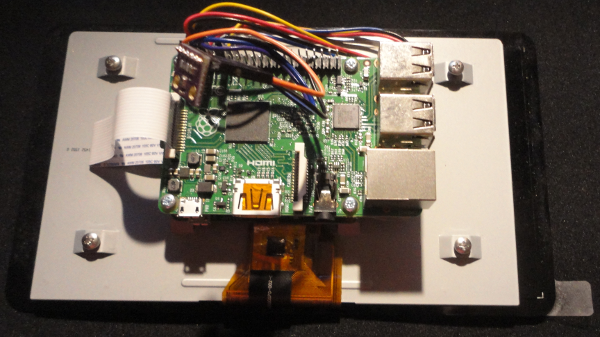 So let's test the customized image on real RPi2 hardware!